Geology is the scientific study of the Earth, its origin, structure, processes and composition. This album is mainly concerned with the interpretation of geological maps and the relationship between the landscape and underlying rocks. The Open University's Dr Iain Gilmour talks us through the geological landforms of Dorset and the Isle of Skye, using geological maps and actual footage of the locations to illustrate his points. 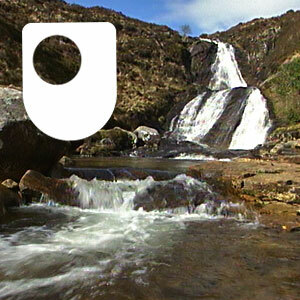 This material forms part of The Open University course S260 Geology. Geology is the scientific study of the Earth, its origin, structure, processes and composition. This album is mainly concerned with the interpretation of geological maps and the relationship between the landscape and underlying rocks. The Open University's Dr Iain Gilmour talks us through the geological landforms of Dorset and the Isle of Skye, using geological maps and actual footage of the locations to illustrate his points. This material forms part of the course S260 Geology. One of the most important maps of the UK ever made – described as the ‘Magna Carta of geology’ – is to go on permanent public display in Cambridge after being restored to its former glory. Celebrate the geological phenomena that have rocked this world with Earth Science Week running from 13th to 19th October 2014. Geology is the scientific study of the Earth, its origin, structure, processes and composition. This album is concerned mainly with the interpretation of geological maps and the relationship between the landscape and underlying rocks. It reveals how the geological history of any area can be interpreted from a geological map. Dr Andrew Bell visits Morecambe Bay and the 'special' Siccar Point to investigate the rocks and stones in the area. This material is taken from The Open University course S260 Geology. 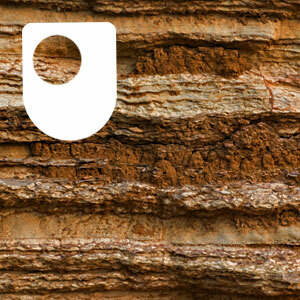 If you're starting to learn about geology, our free course may be of interest. The Open University's Space Safari project - which allows schools to explore the Solar System online - has sent Jonti Horner to Mallorca and Jemma Davidson to Texas. The pair will be reporting back through the Rocks From Space blog. Asteroids: To Avoid, or to Exploit? Take a journey around Britain and discover some of our fascinating geology. For a richer experience, you can explore with our interactive Geology Toolkit. Geology toolkit: what rock is that? You can use our interactive to help you identify an actual rock, or, if you don't have a sample, you can use one of our virtual rocks.